Heavy-duty classification folders make ideal project files. Made of super durable polypropylene. 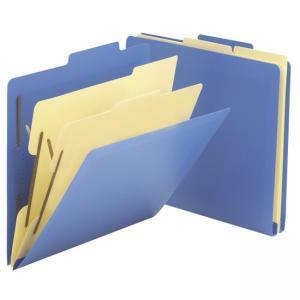 Tear-resistant folders repel moisture. 2/5 cut tab allows easy indexing. Fasteners on the front and back panels and the dividers create six separate filing surfaces. Acid-free folders offer archival quality.